Liens – Common liens on property are for unpaid taxes, unpaid homeowner’s association dues, unpaid spousal or child support and other unpaid debts. Liens for HOA fees and unpaid taxes can sometimes be paid by the seller at settlement. Other liens must be fully satisfied prior to closing. Missing heirs or undiscovered will – If a property changed hands because of a death in the family, ownership may fall to the next of kin. 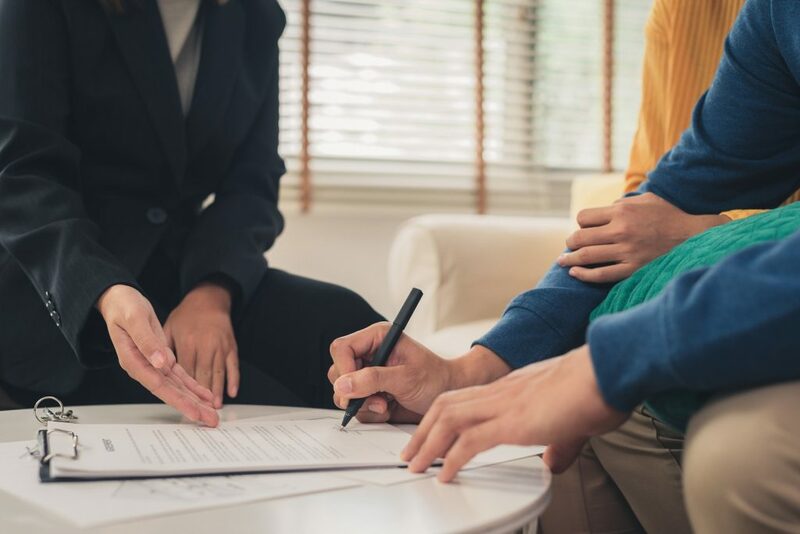 If family members contest a will or an heir is located after the property has been sold, it could cause a problem with the title after closing. If a will from a previous owner is discovered after you’ve closed on a property, heirs in that will could have claim to your property. Forged documents – Unfortunately, sometimes dishonest people will forge documentation pertaining to a property’s ownership. This can affect the title even after it has changed hands to a new owner. Easements – A previously unknown easement could affect how you use your property. Government agencies, businesses or other parties could potentially have access to your property. This won’t generally cause a financial issue with your title, but it will affect how you use your property. Survey disputes – Though the property is surveyed prior to settlement, other surveys with conflicting information could be out there giving a neighbor or another party claim to a portion of your property. Public record errors – Legal paperwork passes through many hands before it makes it to the land of public record. This leaves room for human error. Though everyone makes mistakes occasionally, a filing or clerical error could affect your deed or survey and cloud your title. Bankruptcy – A bankruptcy that hasn’t yet been discharged could cloud a property’s title. If a bankruptcy is discovered during the settlement process, the court must be petitioned to release the property. Break in the Chain of Title – When we search the property’s title, we see the history of ownership from the time the property is built. Every year should be accounted for. When there is a gap in time without an owner showing on public record, that is called a gap in the chain of title and leaves room for a potential title issue. Some of these issues could pop up after you have gone to closing on your property. Your lender always has title insurance to protect their portion of the investment on your home. To protect your investment, you should purchase title insurance to provide protection for yourself. If you have questions about title issues or title insurance, reach out to us at 571-234-5589 or by email at [email protected]. We can’t wait to hear from you! Previous Post What Is A Title and Why Is It Important?